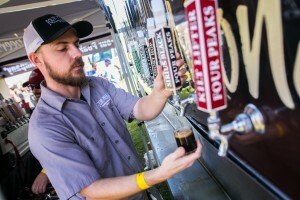 Arizona Beer Week festivities begin this Thursday and whether you’re a craft brew connoisseur or just a beginner, you’re sure to find something to please your beer-drinking palate. Events are scheduled across the state from February 11 through February 21, but here is a list of events you’ll find in the greater downtown Phoenix area. This entry was posted in Alvarado Historic District, Arcadia Historic Neighborhood, Ashland Place Historic District, Biltmore Corridor, Brentwood Historic District, Campus Vista Historic District, Central Avenue, Cheery Lynn Historic District, Coronado Historic District, Country Club Manor Historic District, Country Club Park Historic District, Del Norte Place Historic District, Downtown Life, Downtown Living, Earll Place Historic District, East Alvarado Historic District, East Evergreen Historic District, Encanto Manor Historic District, Encanto Palmcroft Historic District, FQ Story Historic District, Garfield Historic District, Idylwilde Historic District, La Hacienda Historic District, Los Olivos Historic District, Margarita Place Historic District, Medlock Place Historic District, North Encanto Historic District, Phoenix Homesteads Historic District, Roosevelt Historic District, Roosevelt Park Historic District, Willo Historic District, Woodlea Historic District and tagged Arizona, Arizona Beer Week, Arizona State festivities, Beer, Buying Historic Phoenix Real Estate, Central Avenue, Central Corridor, Central Phoenix, Downtown, Downtown Phoenix, Downtown Phoenix Life, Downtown Phoenix Living, events in central phoenix, Events in Downtown Phoenix, Fun things to do in Phoenix, Historic Districts, Historic Phoenix Districts, Historic Phoenix Real Estate, North Central, Phoenix on February 12, 2016 by TheBestInRealEstate.